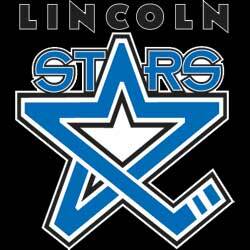 It was another 0-2-0 weekend for the Lincoln Stars as they lost two road games against divisional foes ahead of them in the USHL western conference standings. On Friday, the Stampede beat Lincoln in Sioux Falls, SD by the score of 3-1. Then on Saturday, the Lancers beat the Stars 6-3 in Ralston, NE. With the two losses the Stars fell to 12-17-5 (29 points) on the season, good enough for seventh place in the USHL Western Conference. The last place Waterloo Blackhawks, who have won three in a row, are now only two points behind the Stars. Lincoln does have one game in hand over Waterloo. Click here to view the current league standings. A dominating first period effort was all that the Stampede needed to cruise to a 3-1 victory over the Lincoln Stars this past Friday night at the Denny Sanford Premier Center in Sioux Falls, SD. All three goals that the Stampede scored in this game came in the first period. Sioux Falls also outshot Lincoln 19-6 in the opening twenty minutes. Not a great start at all. I was watching on FASTHockey and the Stars looked asleep at the wheel. We've seen some stinker opening periods from the Stars this season but this may have been the worst so far. I'm not sure if they were suffering from bus legs from the long trip from Madison, WI to Sioux Falls, SD but the Stars didn't have their head in the game in the first period and it cost them. Considering how bad they looked in the first period, I thought the Stars actually played much better defensively in the latter two periods of this game but the damage had been done. Offensively, the Stars never really got going against the Stampede. Give credit to Sioux Falls for that. They play a smothering team defense and put a blanket on the Stars for most of the 60 minutes. The lone Stars goal was scored by Ludvig Hoff on a powerplay early in the third period. On the play, Stars forward Michael Gillespie collected the puck deep in the Sioux Falls zone before firing a no-look backhand pass into the slot where a streaking Ludvig Hoff fired it low, glove side past Stampede goaltender Art Brey to pull the Stars to within one goal. Surprisingly, there was only one powerplay opportunity in this entire game, and the Stars scored on it. Sioux Falls never got one man advantage opportunity. That's good team discipline by the Stars. Lincoln goaltender Cam Hackett stopped 27 of 30 shots on net in the loss. Cam didn't get a lot of help from his teammates in the first period. Sioux Falls goaltender Art Brey only faced 17 Lincoln shots and saved 16. Easy night for Brey. The Lancers outscored the Stars 2-0 in the third period to pull away from Lincoln and get a 6-3 victory in front of a sellout crowd Saturday night at Ralston Arena, in Ralston, NE. I was only able to catch bits and pieces of this game so this recap will be brief. It was another slow start for the Stars in this game as the Lancers jumped out to a 1-0 lead less than five minutes gone, but Lincoln responded with a goal from an unlikely source three minutes later. Down the one goal, the Stars had the puck in the Omaha zone. Lincoln forward Patrick Polino passed the puck back to defenseman Connor Frantti at the point who unleashed a bomb from just inside the blueline. Stars forward Joe Lappin did a great job screening Omaha goaltender Zach Driscoll as Frantti's shot got past everyone and found the back of the net. It was Frantti's first career USHL goal in 83 games. As you can imagine, Connor was very excited after the goal, as he should have been. Omaha forward Shane Gersich scored his first of three goals on the night at the 13:51 mark of the first period to give his team a 2-1 lead. Lancers took that 2-1 score into the locker room at the first intermission. Omaha outshot the Stars 20-6 in the first period. So just in the two games over the weekend, the Stars were outshot by a combined 39-12 in the two first periods. It was kind of a wild and crazy second period as the two teams combined for four goals scored and rash of penalty minutes. Gersich scored his second goal of the game at the 4:58 mark to give Omaha a 3-1 lead. However, the Stars responded with a goal at the 8:56 mark. Ludvig Hoff's powerplay goal pulled the Stars to within one goal at 3-2. It was Hoff's second goal of the weekend. Hoff has 8 points (4g, 4a) in his last five games played. With less than a minute remaining in the second period, the Lancers scored what seemed like at the time a momentum killer for the Stars. Anthony Angello's powerplay goal with only 19 seconds remaining gave Omaha a commanding 3-1 lead. I think most people watching in person or at home figured the Lancers would take the two goal lead into the second intermission but that wasn't the case. Stars defenseman Dylan Woolf's goal with only 2 seconds left in the second period brought Lincoln back to within one goal. Woolf's goal, which was his first in a Lincoln Stars uniform, also gave his team a much needed momentum boost heading into the second intermission. Unfortunately in the third period, it was all Omaha as the Lancers scored two goals, including Gersich's third of the night, to win this one by the score of 6-3. Shots were 43-24 in favor of Omaha through the three periods. Stars goaltender Cam Hackett stopped 37 of 43 in the loss. Lancers goaltender Zach Driscoll stopped 21 of 24 in the win. The Stars had plenty of powerplay opportunities to get back in this game but were only able to score one PP goal in eight chances. Meanwhile, the Lancers went 2-for-6 with the man advantage. With the loss the Stars fell to 1-3-1 in five games against the Omaha Lancers this season. These two teams won't meet again until Tuesday, March 31st at the IceBox. The Stars will wrap up their four-game road swing this Tuesday night in Kearney, NE against the Tri-City Storm. The Storm are playing their best hockey of the season right now as they have won six straight. I hate to say it, folks...but the Stars are not a playoff team this season. I'll probably catch some flak for saying that, but that's just how I feel. I haven't seen the type of improvement I'd expect over the course of 30+ games. Consistency is still a big issue. Some games, like against Madison this past week, the Stars look very good for 60 minutes. Other games, they might play well in one period and look lost and lethargic in the other two. Slow starts continue to be a problem as well. Having said that, going into this season I didn't expect this to be a playoff team. New owner, new GM, new head coach, new system, and a ton of young players trying all to work with one another. It was a big task. When friends asked me before the season started how I thought the Stars would do in 2014-15, I said that it was probably not going to be a playoff team, but I thought they could be a .500 hockey club. As of right now, the Stars are 11 points out of a playoff spot in the western conference and have a winning percentage of .426 (third worst in the USHL). If they don't make the playoffs, it will be the first time in franchise history that the Stars won't play postseason hockey in consecutive seasons. Who knows, I could be all wrong. Maybe the Stars go 7-0-0 in this upcoming seven-game homestand. Maybe a couple of the teams ahead of them in the standings falter down the stretch. If the Stars can pull it together and squeak into the playoffs, I'll be the first to eat crow. I'll be happy to eat a big plate of it. Win or lose, I'll still be at the IceBox supporting the Stars. I'm not giving up on them and I hope the fans don't either. It doesn't happen very often, but the Stars have missed the playoffs in the past and the fans have still packed the IceBox. Even if they aren't going to play postseason hockey, there is still a lot of opportunity in these last 26 games to show improvement heading into next season. Edit: I wanted to highlight an article that Alex Lantz of the Lincoln Journal Star authored. That link is below. Really good stuff. Alex is in his first year covering the Stars for the LJS and he's doing a fantastic job in my opinion. Much different from what we've seen in the past from certain LJS journalists. Unfortunately, Lincoln Stars hockey gets pushed to the side too often in this city because of the 1,000 pound gorilla that is Nebraska Huskers athletics. Just glad to see Alex and the LJS commit to the Stars. Watched the game on FastHockey last night, and it looked like one of the most physical games we've played all year. In the first half of the game, bodies were flying all over the place. Unfortunately, the Stars seemed to come out on the short end of the stick most of the time and by the 2nd half of the game the Lancers back check was in high gear. Seemed like we just couldn't keep the puck in the zone for very long before we got knocked off the puck and had it taken away. With all of our problems of turnovers, trouble bringing the puck up, and getting more quality shots, I'm just wondering if you think adding more size to the roster would help? I don't think we have much of a shot at the playoffs this year either, but next year looks much better. I look for management to bring in some bigger bodies and maybe another proven goal scorer for next year. Have to agree that the playoffs might be out of reach this season. It was going to be a tough go in any event, and then as Yeti mentioned, with all the changes it made it that much more difficult. I think we have seen glimpses of what this team can do and hopefully the last half of the season they can start to develop some of the consistency that will serve them well for next season. the weakness on this team is youth....especially on defence. They have to get mean and physical. and to many stupid penalties.